Who better to find nursing jobs for nurses than a nurse? 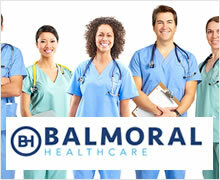 Balmoral Healthcare was founded in 2000 by Amanda McCully a registered nurse, and since then it has established a reputation that is second to none for recruiting only the highest quality healthcare professionals for both the public and private sectors. 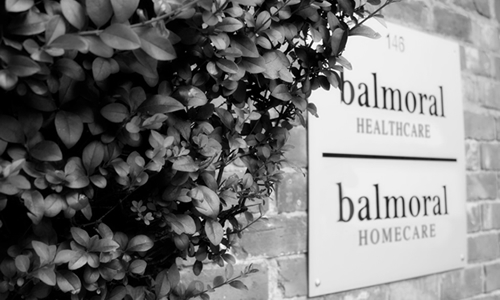 In fact, we believe that quality permeates every strand of our operations, from the people we recruit, to our prestigious offices on the Malone Road in Belfast, and the high calibre professionals who manage our recruitment, training, administrative and accounts functions. We make every effort to really get to know the people who register with us. Registration can often be rigorous and time consuming but it is important to us that we have the right Nurse's and Auxiliary's registering. More importantly is that we understand your skill set before we offer you shifts, we understand over time you develop an area you particularly prefer working in whether that be theatre, A&E, treatment room, Orthopedics, Neurology etc. We want to ensure we understand exactly what you like and what you can offer our clients and us. Whether you a healthcare provider seeking the very best staff, or a nursing professional seeking new opportunities, we will match you with the best person and the most appropriate job.